The camp was a camp set up to highlight protests against a proposed third runway at Heathrow, destroying nearby villages and to put the spotlight on climate change issues. 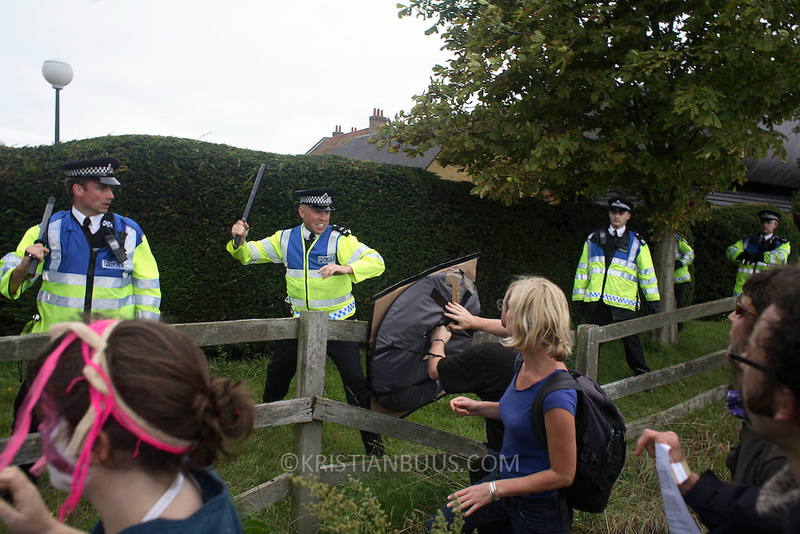 The campers had been villified in advance by police and some media out-lets, claiming the campers would attack Heathrow Airport, but all direct actions which came out of the camp were very peaceful. The campers went from the camp through the police line to occupy the BAA staff car park. The action took place on a Sunday with the intended aim of staying 24 hours to disrupt BAA business the following Monday morning.